Brazed Plate Spiral Heat Exchanger, A spiral heat exchanger (SHE), may refer to a helical (coiled) tube configuration, more generally, the term refers to a pair of flat surfaces that are coiled to form the two channels in a counter-flow arrangement. Each of the two channels has one long curved path. A pair of fluid ports are connected tangentially to the outer arms of the spiral, and axial ports are common, but optional. The main advantage of the SHE is its highly efficient use of space. This attribute is often leveraged and partially reallocated to gain other improvements in performance, according to well known tradeoffs in heat exchanger design. (A notable tradeoff is capital cost vs operating cost.) A compact SHE may be used to have a smaller footprint and thus lower all-around capital costs, or an over-sized SHE may be used to have lesspressure drop, less pumping energy, higher thermal efficiency, and lower energy costs. The distance between the sheets in the spiral channels are maintained by using spacer studs that were welded prior to rolling. Once the main spiral pack has been rolled, alternate top and bottom edges are welded and each end closed by a gasketed flat or conical cover bolted to the body. This ensures no mixing of the two fluids occurs. Any leakage is from the periphery cover to the atmosphere, or to a passage that contains the same fluid . Looking for ideal Spiral Plate Heat Exchanger Manufacturer & supplier ? We have a wide selection at great prices to help you get creative. All the Plate Heat Exchanger are quality guaranteed. 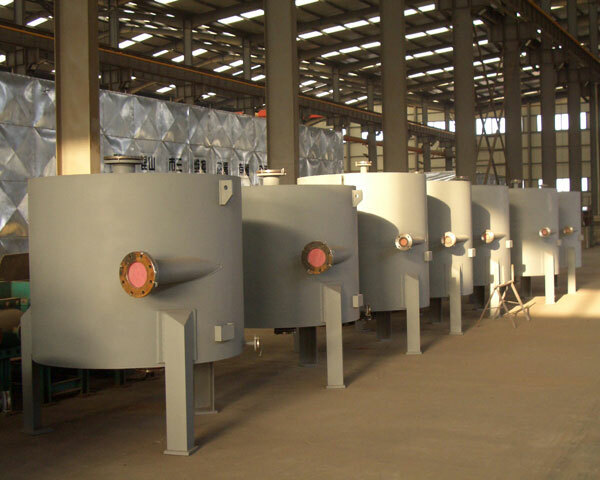 We are China Origin Factory of Brazed Plate Heat Exchanger. If you have any question, please feel free to contact us.